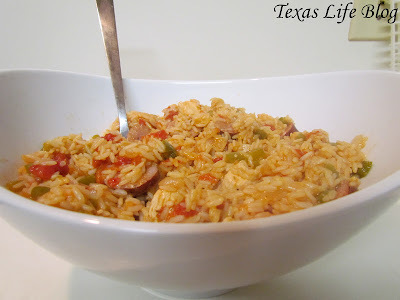 One of my favorite go to dishes to make these days is Jambalaya. Now that we're Texified (I swear that's a term! 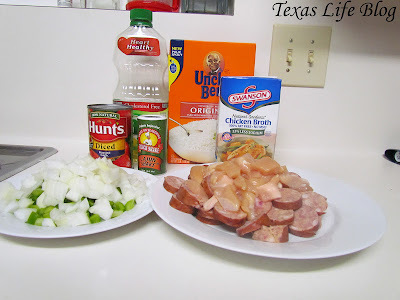 ), we usually have most of the ingredients on hand, so it's easy to put together on a day where I haven't planned dinner. I found this recipe about 4 years ago in Family Circle magazine. After it was given the thumbs up by Jason, I ripped it out and stuck it in my little green recipe folder. 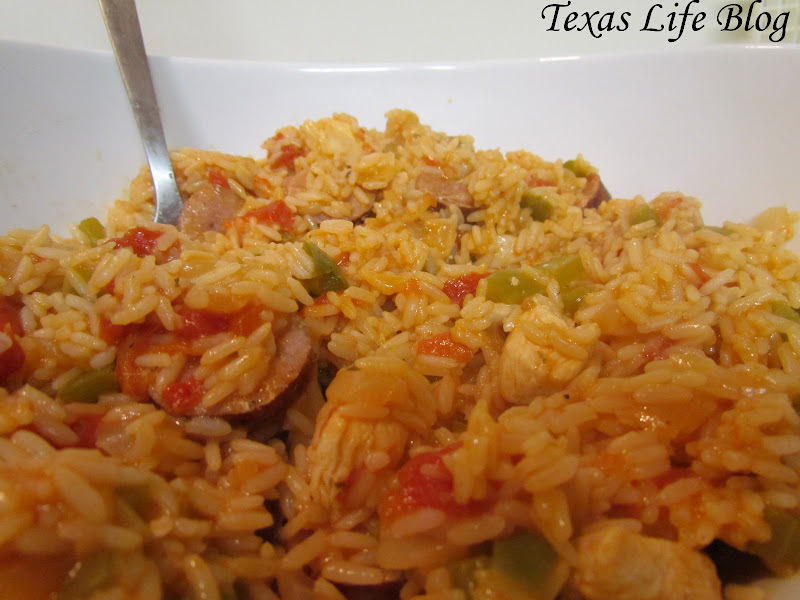 You can also add in crawfish or shrimp if you want it to feel a bit more Cajun. I'll also add in an additional small can of green chiles if I'm in the mood for a little more spice! Below you'll find the actual recipe along with a link to take you to a printable version, as well as nutritional and WWPlus points info. 1. Heat oil in large skillet over medium-high heat. Add chicken and sausage and saute, stirring frequently until chicken is no longer pink, but not cooked through, about 4 minutes. 2. Remove chicken and sausage with a slotted spoon to a bowl. Reduce heat to medium and add onion, green pepper and celery to skillet. Cook until crisp-tender, about 5 minutes. Stir in Cajun seasoning, tomatoes and rice. Add broth. 3. Bring to a simmer, then cover pan and reduce heat to medium-low. Simmer 20 minutes, until almost all the liquid is absorbed. Stir chicken and sausage back into pan, along with any accumulated juices. Cook, uncovered, 5 minutes, until rice is tender. P.S. 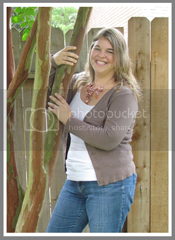 I'll be sharing this with Serenity Now this weekend!